Wednesday, Apr 3, 11 a.m. – Thursday, May 2, 2019, 4 p.m.
A contemporary art exhibition featuring the works of Morehshin Allahyari, Sara Zewde and Trinh Mai. 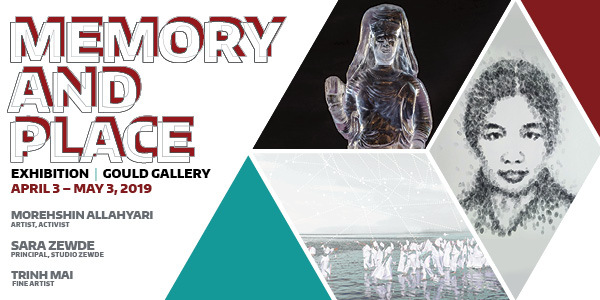 This exhibit will explore how art can forge connections in the present to places and past memories. This exhibit is free and open to the public. Open Wednesday through Friday, 11 am – 4 pm and Saturday, 11 am – 4 pm.